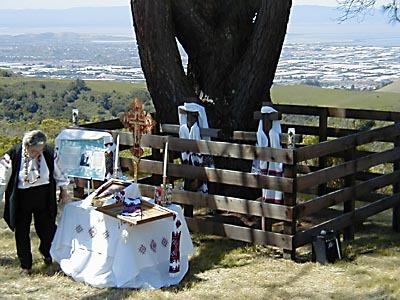 "Ukraina" is the site of the farm and burial place of the ukrainian patriot and exile Orthodox priest Agapius Honcharenko (1832-1916) and his wife Albina. 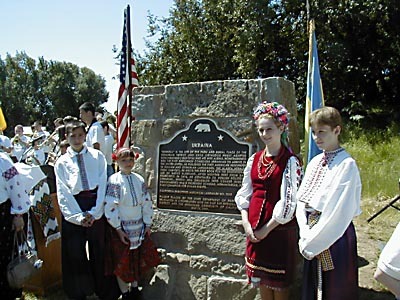 Honcharenko was the first nationally conscious Ukranian to arrive in the United States. He published the first American newspaper in Russian and Ukranian languages, The Alaska Herald, from 1868-1872. He wrote the first book for the educational use of native Alaskans. 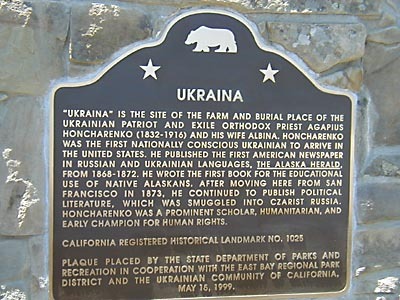 After moving here from San Francisco in 1873, he continued to publish political literature, which was smuggled into Czarist Russia. Honcharenko was a prominent scholar, humanitarian, and early champion for human rights. 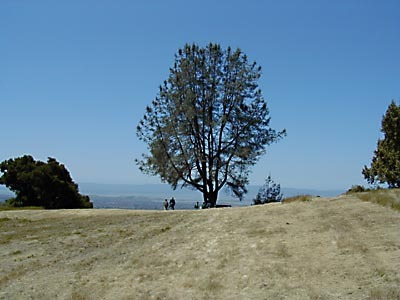 Garin Regional Park, 1320 Garin Ave, Hayward.